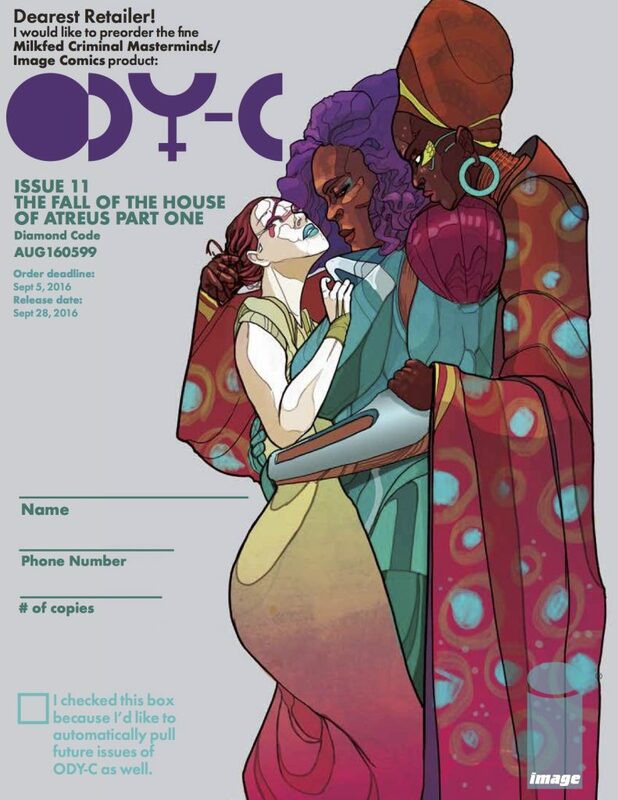 September 05 ODY-C #11 Available for Pre-Order! Eager to explore the latest depths of classical depravity per Mssrs. Fraction & Ward? Your wait is over! Using this handy pre-order sheet, you can assure your copy of ODY-C #11, The Fall of the House of Atreus, Part 1, come the 9/28 on sale date. IN FACT, there’s even a handy box to check if you want to have everything ODY-C-related pulled for you going forward…!